By William Mackay: With his recent win over Danny Green to capture the IBO cruiserweight title, 42-year-old Antonio Tarver is now looking for bigger game, specifically David Haye, Wladimir Klitschko and Bernard Hopkins. The chances of Tarver getting Wladimir or Haye are quite small to say the least. Tarver, despite his many years at the top of the light heavyweight division, isn’t a huge draw, and it’s unlikely that Wladimir and Haye would seek out a fight with a fighter as old as Tarver. What’s more likely is Tarver landing a fight against 46-year-old Hopkins – if Hopkins wins his fight against Chad Dawson on October 15th. A loss for Hopkins against Dawson would make a Tarver-Hopkins fight much less interesting, not that it’s all that interesting to begin with. Hopkins already easily beat Tarver in 2006 by a 12 round decision, and there’s not a lot of fans that want to see the two fighters go at it again. Tarver blames his poor performance on having dropped 20+ pounds after filming Rocky Balboa with Sylvester Stallone. 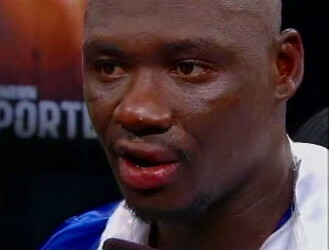 The weight loss caused Tarver to be weakened and less than at his best. Boxing fans really don’t care about excuses; they’re still pretty much bored by the idea of Tarver and Hopkins fighting again judging by the comments from boxing fans on internet forums. But a loss for Hopkins against Dawson will make it all but impossible to put together a fight with Tarver. I’m sure they’ll probably go ahead and fight anyway, but it would be looked at differently because of the loss. It’s never a good idea to put two 40-year-old fighters together because it makes their fight look like some kind of nostalgic old timer’s fight. Even if Tarver can beat Hopkins now, it’s not like he’s beating the version of Hopkins that soundly beat him in the past. Tarver must be dreaming if he thinks Wladimir and Haye will fight him. First of all, Tarver would have to actually beat a top contender in the division to make boxing fans feel like he’s for real. They’re not going to want to see Tarver against Wladimir if all that Tarver has fought are old guys or some fat heavyweights. Tarver would have to beat a Chris Arreola type heavyweight and I don’t think he can.